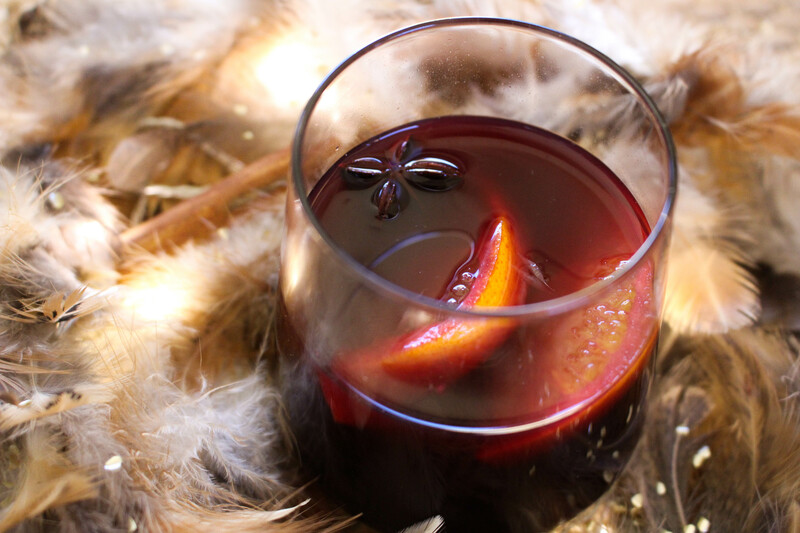 This mulled wine recipe is very drinkable indeed. I tend to use a full bodied wine such as Merlot which I buy in a box. There’s no need to spend a lot of money on the wine as it will lose much of its flavour once infused with the fruit and spices. I use supermarket brand smooth orange juice (ie without pulp), its sharp flavour balances out the sugar. Always peel the oranges and remove as much pith as you can before making the mulled wine, the peel will become very bitter otherwise. You should never boil or simmer the wine as the alcohol will evaporate, try to keep the pan on a low, gentle heat. You can easily halve this recipe. Dry roast the whole spices in a large pan on a medium/high heat until fragrant. Remove the pan from the heat and allow to cook for about two minutes. Add the remaining ingredients and heat very gently on a low heat for about 40 minutes to 1 hour, stirring occasionally. Leave on the stove to keep warm on your lowest setting. Can be made the day before and reheated when needed. See with a couple of slices of fresh orange.